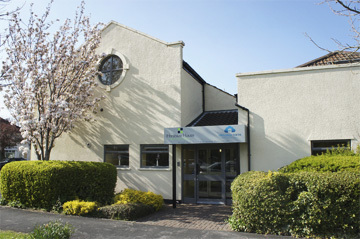 Henleaze House, close to Westbury on Trym, Bristol has been providing serviced offices and secretarial services in North West Bristol for over 20 years. With offices of varying sizes, from 2 person to 10 person we support small businesses with serviced office space to rent and support office user services, backed up by our experienced reception team. As a family run business centre in Bristol, we provide a professional yet friendly service, without that corporate, less comfortable feel you get from most other business centres in the area. View our current Available Rooms to see if we have a suitable size office for your Business, or alternatively Contact Us and we will be in touch to discuss your needs and how we can best assist you. Henleaze House is ideally situated in the quiet urban surroundings close to Westbury on Trym, North West Bristol. We are conveniently located an equal distance from the city centre and the M4/M5 motorway network. This location offers easy access to you and your visitors, whilst avoiding the traffic and parking problems associated with the city centre working. With a large onsite car park we offer free car parking with unlimited free visitor parking – a great advantage to you and your Client visitors. We provide a great place to work, a friendly but professional environment and most importantly we will support your business aims. If you want a Virtual office then please check out our sister company Virtually There.